Left Bank Bordeaux Cup is a competition for students at higher education with minimal experience in wines. Read on to learn how such kind of competition has led the Gen Z into the World of Wines and influenced their perception about wines, or even their career path. Left Bank Bordeaux Cup (LBBC) (formerly ’20 vin Sur’ before 2012) used to be a wine competition among wine clubs at leading Paris higher education institutions. Since 2012, the competition has opened up for students outside France to participate. Students from prestigious French schools, as well as Oxford and Cambridge, and other elite business schools in North America and Asia have taken part in the competition. Nowadays, there are two rounds of competitions in Asia: one being held in Hong Kong, another in Shanghai. The champion in each of these rounds is then qualified for the final held every year in June. As the coach for HKUST team, I have accompanied the three team members to Bordeaux for a tailor-made 3-day wine tour and final competition this year. 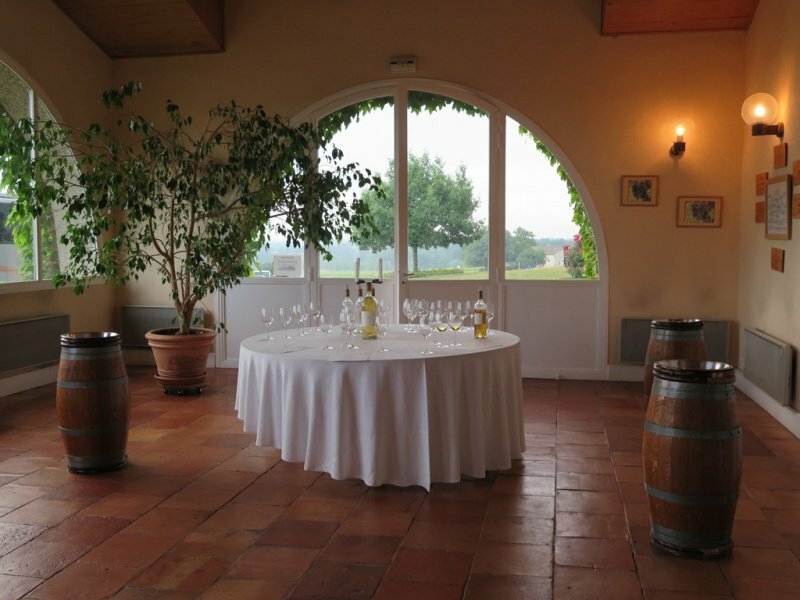 The wine tour was arranged by competition organizer Commanderie du Bontemps de Médoc et des Graves, de Sauternes et de Barsac, one of the oldest and largest wine brotherhoods in France. It was indeed a brand-new luxurious experience for all students. 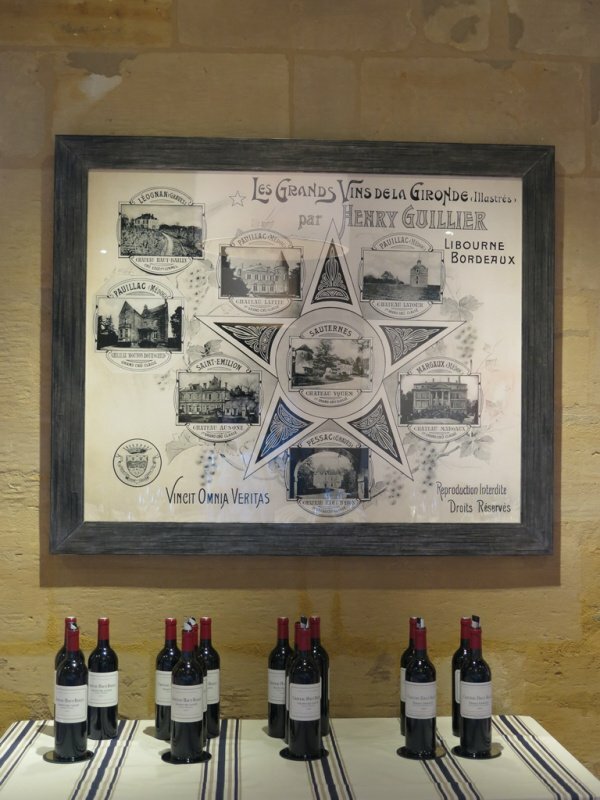 In 3 days, we have visited 10 châteaux including 7 classified growths in lists of Grand Cru Classé 1855 (Médoc, Sauternes & Barsac) and Crus Classés de Graves, 2 châteaux which are owned by influential individuals André Lurton and late Frédéric de Luze (President of Alliance des Crus Bourgeois du Médoc) respectively, and one that is independent of any classification, but possesses long Irish heritage. Most of the time, either owners or general managers welcomed the group and introduced vineyard/ winemaking/ cellaring facilities, followed by vertical/ horizontal tastings. For instance, at Château Haut-Bailly, we have had La Parde Haut-Bailly 2012, Château Haut-Bailly 2002, 2008, 2010 & 2012; at Château Paveil de Luze, we were tasting a line-up of 2014 Cru Bourgeois wines and a bottle of back vintage from each of the châteaux. 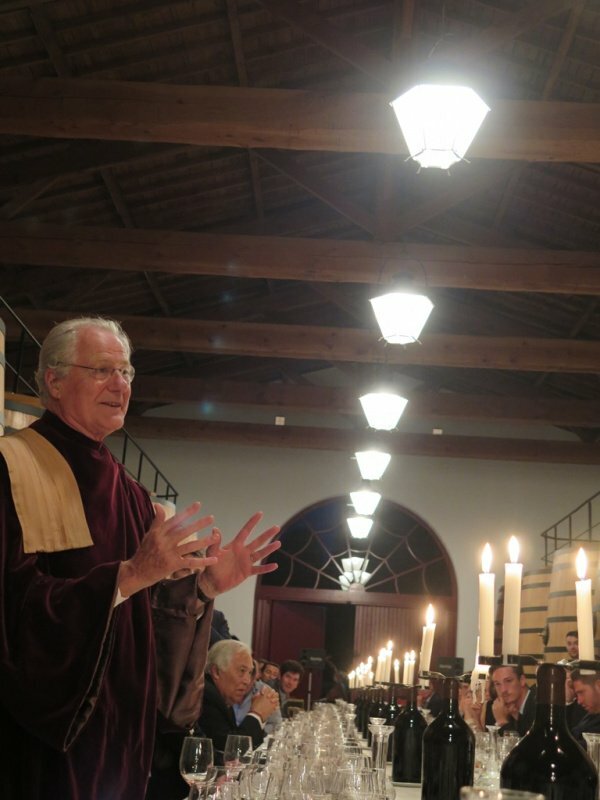 The whole tour was filled not only with knowledge and wines, but joy and sharing as well. It was as if everyone had joined a “wine camp” instead of being there for competition. Last day of tour included a visit at La Cité du Vin. 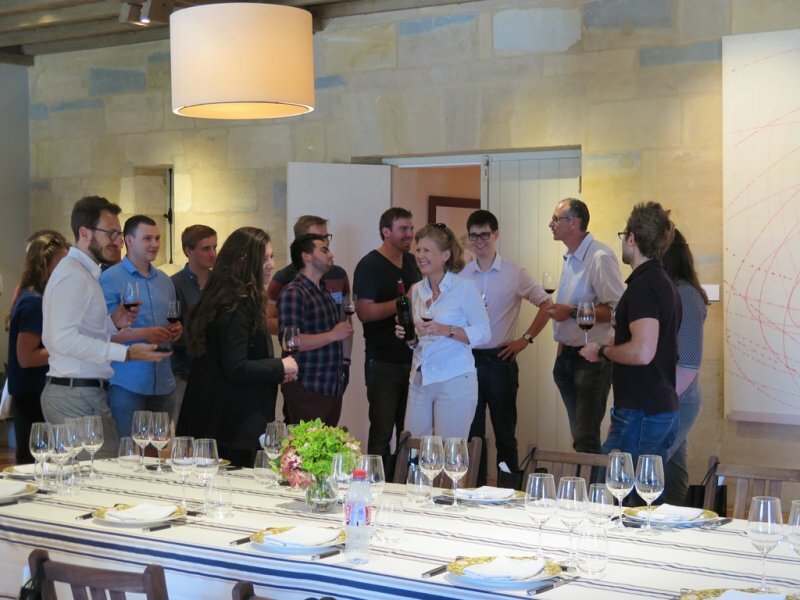 For students new to wines, this visit was definitely an eye-opening experience to broaden their horizon about wines and lead them go beyond Bordeaux. 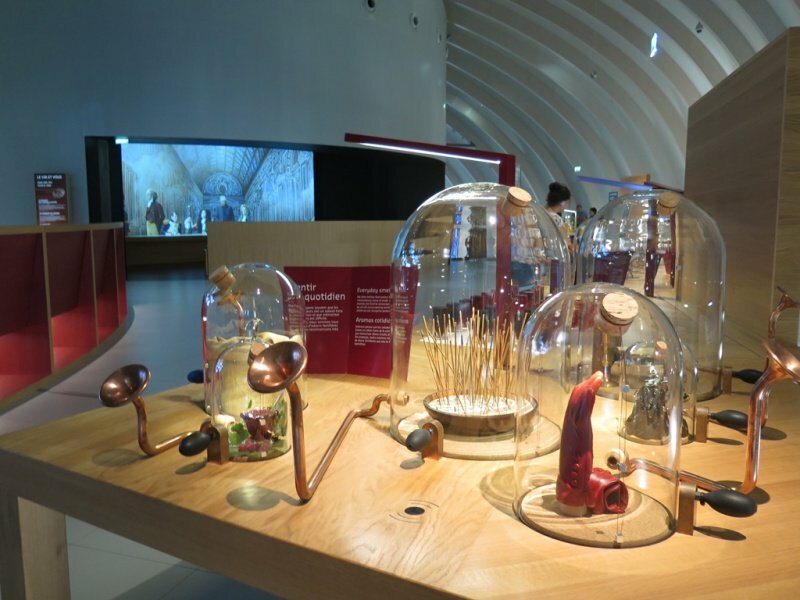 Opened in June 2016, La Cité du Vin is not quite a wine museum as there are no artefacts or whatsoever collection at all. Instead, it is more a cultural place bringing wine-lovers to the world of wine culture through display with the help of technology and activities. Visitors are accompanied by a “personal guide”, which is essentially a smartphone-like device with sensor and earphone, enabling visitors to hear the right audio clip in front of each exhibit. They can then go around the 2nd floor, which is called “The permanent tour”, at their own pace. 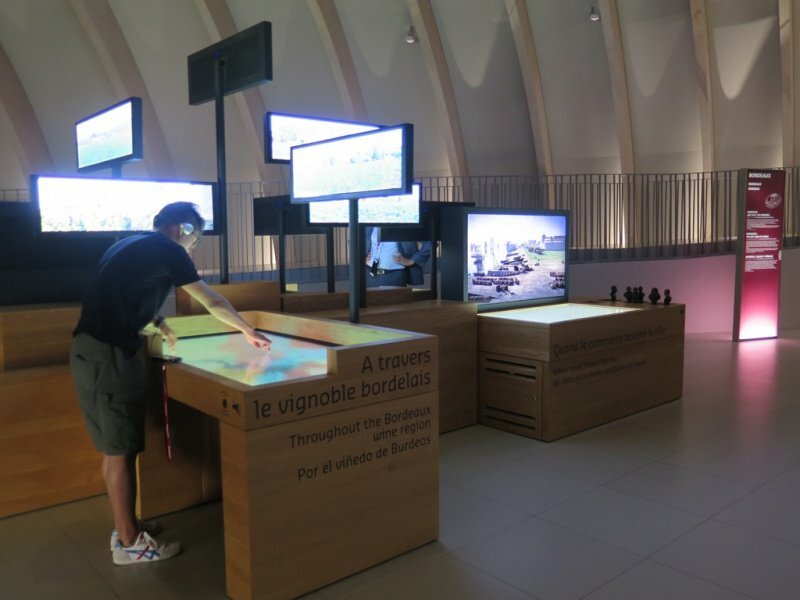 The 19-themed areas showcase exhibits about notable wine regions worldwide and terroir, winemaking, civilization, discovering one’s own senses through smelling games, wine colors, severing wines, and of course, Bordeaux. On other floors, there are seasonal temporary exhibitions, reading room, auditorium, lounge, rooms for other types of events, restaurant, and tasting area on the top floor with 360-degree view of the Bordeaux city. Not to miss is the stunning 80-million-euro architecture which stands out from the classic Bordelais buildings in the city. Q.6/10 (2017): How many regular bottles are produced from one hectare with a yield of 50 hectoliters after topping up (ullage)? Q.9/10 (2017): What Château Calon-Ségur, d’Issan and Latour and Léoville Las Cases have in common? Competition went on for around 90 minutes, followed by 10-minute discussion among jury members to finalize the result. Announcement for winner and ranking were then made with prize presentation. The Champion 2017 was EM Lyon (French team), winning the first place consecutively for another year. Each of the team members got a Riedel decanter, flight ticket sponsored by Air France and a share of double magnum Château Lafite Rothschild 2006, which was presented to the whole team. First and second runner-ups were Swiss team (HEC Lausanne) and another French team (Science Po Bordeaux). 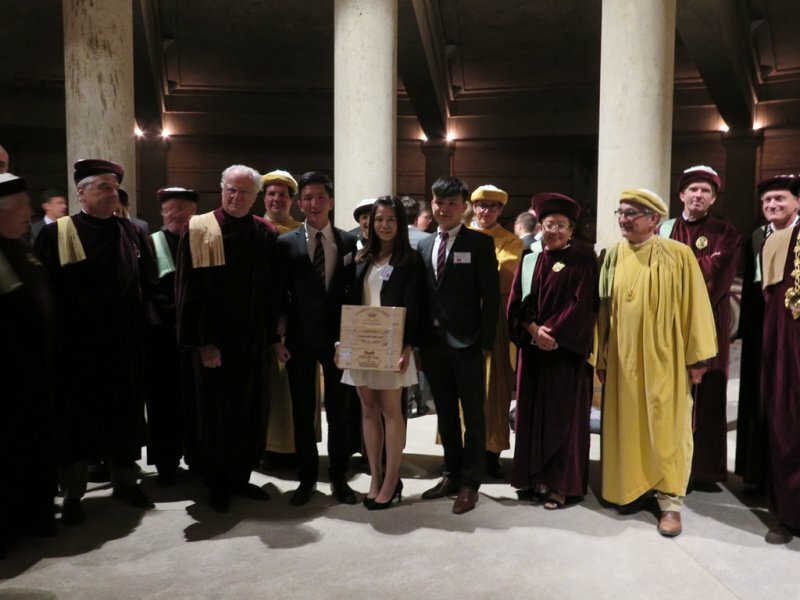 HKUST team got the 4th, bringing home a set of 2006 vintage Château Lafite Rothschild, Château Duhart Milon and Château Lafite Rieussec. All the tense moments passed when all teams have received their prizes. It was then the time to enjoy themselves at the feast held also at Château Lafite Rothschild. 2 aperitif wines, 4-course dinner with 6 wines, digestif Armagnac/ Cognac, singing, dancing and laughter filled the château until midnight. 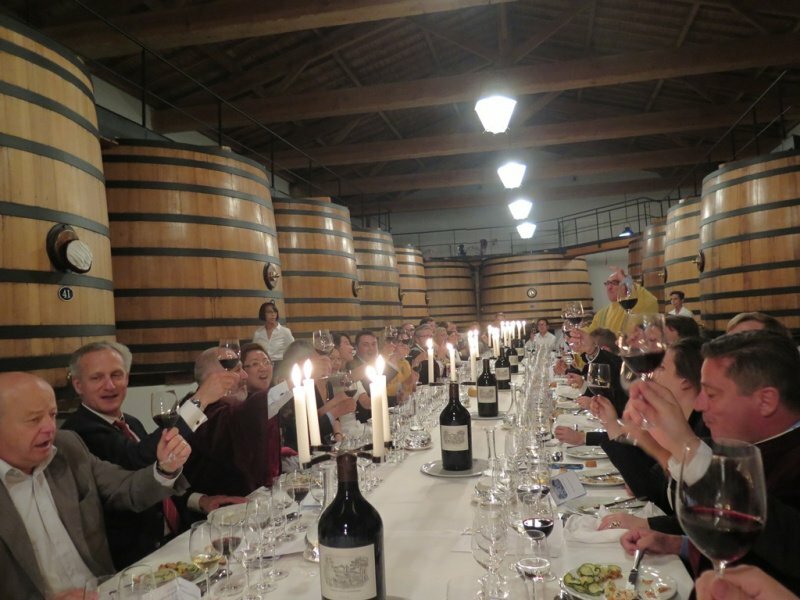 Free wine trip, tour and tasting at famous châteaux, wine lunches and dinners for days, and experience at Château Lafite Rothschild should have got all the students overwhelmed and brought them last-lasting memories about the region and tastes of the wines. Even for those not that lucky to be qualified for Bordeaux final, everyone participated has gone through specialized training for months. Take the example of HKUST team, preparation for LBBC Hong Kong Round (usually held in late February / early March) begins in November. During the 3-4 months of training period, participants have to learn as much as possible about the regions, classification, and châteaux in order to be able to answer 10 multiple-choice questions. And they have to taste as many and as systematic as possible to equip themselves with the tasting skills to identify origin (i.e. appellation), vintage, grape varietal(s), and château(x) of the wines during blind tastings. Such first encounter of wines and intensive work have strong influence on them indeed. After 4 years being coach for HKUST teams, I realized the tasting memory of past participants was shaped by their experience: perception of “quality standard” and “how wines taste” were formed with reference to the Left Bank Bordeaux classified growths! Years after training, few of them were still taking these wines as “benchmark” when tasting wines from other origins that show completely different tasting profile. On the other hand, there were students become dedicated to learning about wines and start working in the industry after graduation. 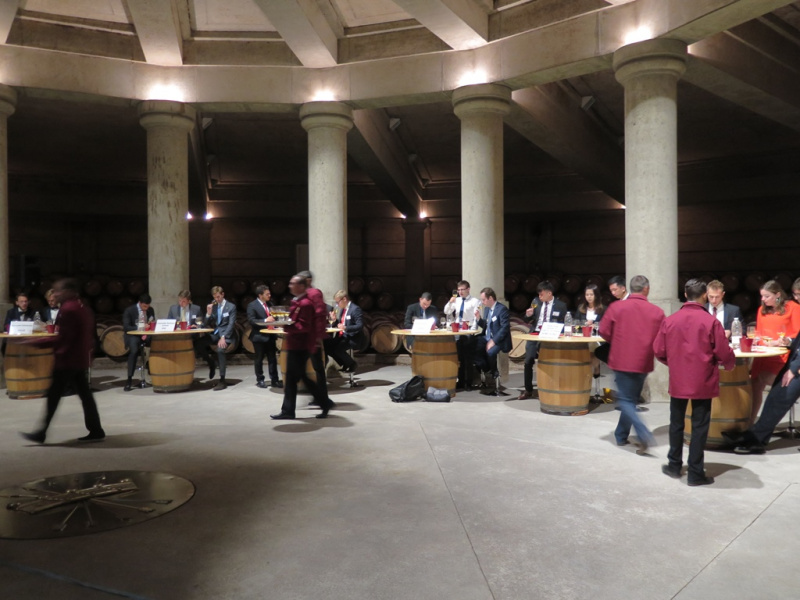 In contrast with others starting wine studies from a very broad spectrum, the Left Bank Bordeaux Cup past participants seem to be picking up region-specific learning fast with passion with no doubt. After all, wine competitions for students have brought this next generation of wine lovers lasting impression about particular wine regions. On top, it has ignited the passion in wines among them and led them into the world of wines much earlier on than their counterparts in universities. With the understanding that wines are not merely an alcoholic beverage, but involve in-depth knowledge and history, these young adults will become opinion leaders in their generation of wine lovers eventually. The future development of the wine ecosystem is indeed in their hands.